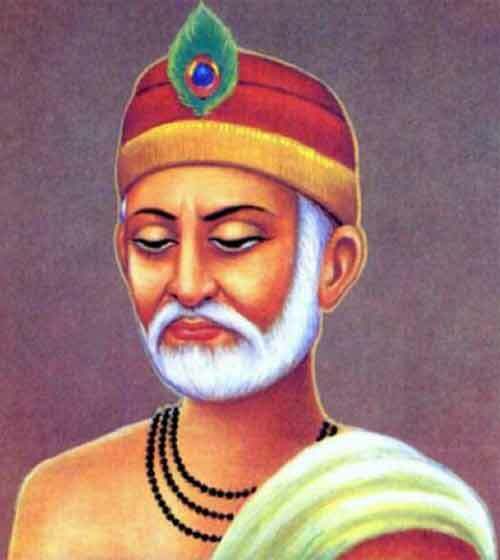 Kabir Panth is a sect practicing thoughts and ideas of Sant Kabir. The members of Kabir Panth consist of lay devotees, sadhus, other holy men and sufis. The sect claims to have been founded by spiritual descendants of Sant Kabirdas during the 16th century. The principle religious heritage of the sect is based on songs and verses of the poet-saint. The followers are known as Kabir Panthis. What do Kabir Panthis Worship? The nirakara, or formless God, addressed as Rama is worshipped by the community. Inner devotion is given importance. Caste system, rituals and customs practiced by various religions are criticized by the sect. Interestingly, the Kabir Panthis have their own set of ritual manuals for morning and evening prayers, religious initiation and for the monthly Chauka ceremony. Majority of the branches of Kabir Panth states that their spiritual lineage can be traced back to one or more of the immediate disciples of Sant Kabir. Majority of Kabir Panthis reside in Bihar, Uttar Pradesh, and Chhattisgarh. They also reside in Madhya Pradesh, Rajasthan, Maharashtra and Gujarat. Majority of the people of this sect speak Bhojpuri. Some of the members of the community do not reside in a particular place and lead the life of wandering monks. As per rough estimates there are more than 2 million Kabir Panthis in India this includes more than 2000 sadhus. Two of the most influential group traces back their lineage to Dharamdas and Shruti Gopal – direct disciple of Sant Kabir. The main religious center of the Shruti Gopal descendants is the Kabir Chaura monastery in Varanasi. It is located on the spot where the home of Kabir was originally located during 15th century. They are also known as Kabir Chaura Lineage. Followers of Dharamdas are mainly found in Chhattisgarh. They had split into two rival groups. One has its headquarters at Kharsia and the other at Damakheda. Kabir Panthis only accept only the songs and verses from the collection known as Kabir Bijak. This is believed to be the authentic one. Verses from the collections of Dahupanth, Sikh Panth and modern songs are appreciated but not given the same status as those found in Kabir Bijak. Today there is a large collection of literature dedicated to the Kabirpanthi group. These mainly include songs of Dharmadas and his wife Amin Mata. Commentaries on Kabir Bijak, philosophical works of other famous saints of the tradition, texts dedicated to religious dialogues between Kabir and his rivals, dialogues between disciples of Kabir and their rivals and collection of stories from the life of Sant Kabir.